N 33o 21' 07.5348", W 107o 38' 57.3396"
If your town is too small, you band together with other nearby towns. So it is here. But 'nearby' isn't very near. 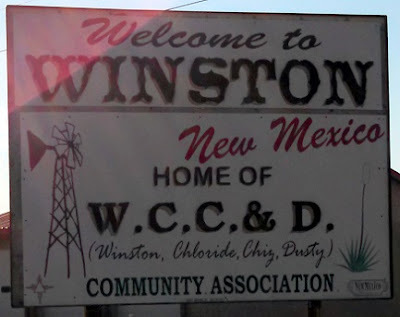 Four very small towns; Winston, Chloride, Chiz, and Dusty; got together years ago and formed the WCC&D Community Association. A few other towns joined later but did not become named partners. 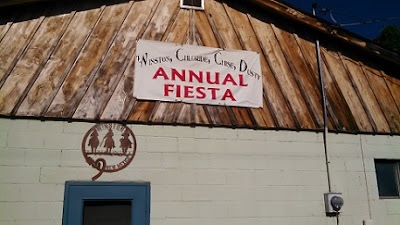 Each year they hold a Fiesta at the Community Center they built in Winston. Today was the 2015 Fiesta. Every little town park has a monument. 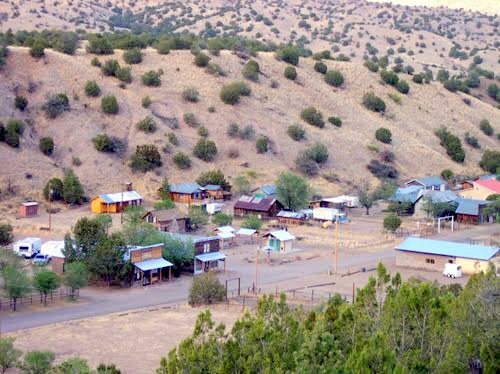 These towns are mining towns so their competition is drilling and their park monument honors that. ... and of course a bake sale. The big event of the morning was the parade. We had a Grand Marshall. ... including our Chloride No 3. There was a meal of Bar-B-Que, Beans, and Potato Salad available. There were games for the kids, a little gambling in the form of a Cow Chip Bingo lottery. In the evening there was a dance. We had lunch and then left. We didn't stay for the afternoon and evening. One vehicle caught my attention. It seems someone wanted to make their truck into a convertible. So they cut off the top and removed the windshield but for some reason left the windshield wipers. I can't figure that one out. As I said, every town needs a festival. It's just part of being an American. God Bless us all. A while back I surveyed the local area for letterboxes using the Box Radar app. 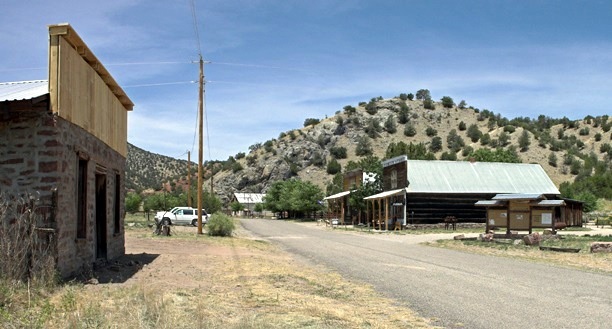 The app shows numerous letterboxes in the vicinity of Truth or Consequences and Elephant Butte. However they are all old and haven't been found for several years. I suspect they are all missing and I have no desire to search for them. Let's put one in Chloride! I have been reluctant to put letterboxes in places where I cannot maintain them, but Tiggermama convinced me otherwise. So I decided to put one here in Chloride. The owner will be Linda Turner using the trail name Monte Cristo. The box name is Silver Chloride and the number is AQ 254862. The box is located at GPS Coordinates N 33.338660o, W107.681298o. "This box is located in the Monte Cristo Saloon and Dance Hall Gift Shop and Gallery in Chloride, NM. It is available during normal visiting hours (10AM to 4PM every day). Ask for the box and tell us where the Hanging Tree is located." 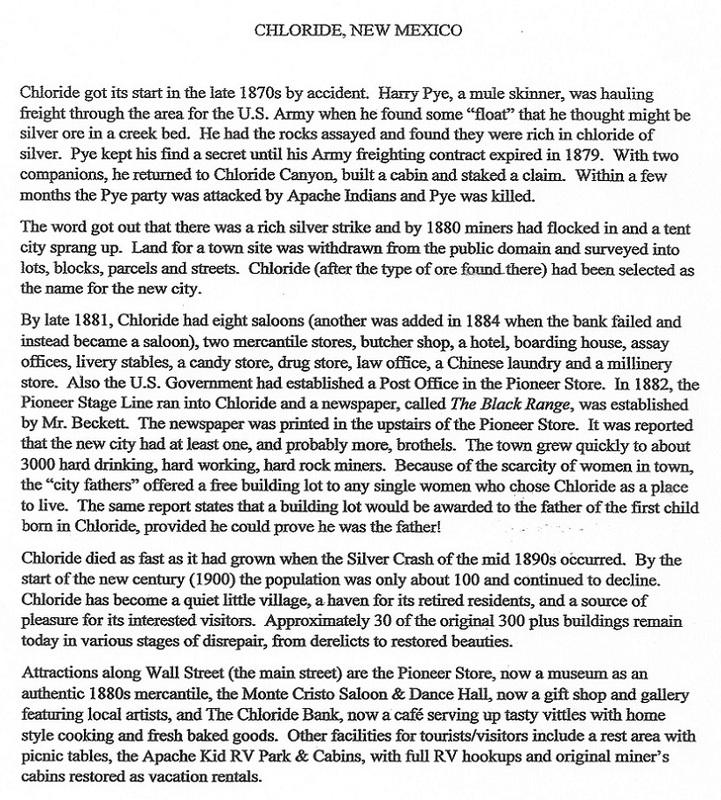 I hope the letterbox and this blog post brings a few folks to Chloride for a visit to the Monte Cristo Saloon and Dance Hall and to The Pioneer Store Museum.